Police have obtained a search warrant that will permit them to test male staffers’ DNA at the Arizona nursing facility where a woman who has been in a vegetative state for nearly a decade gave birth last month. 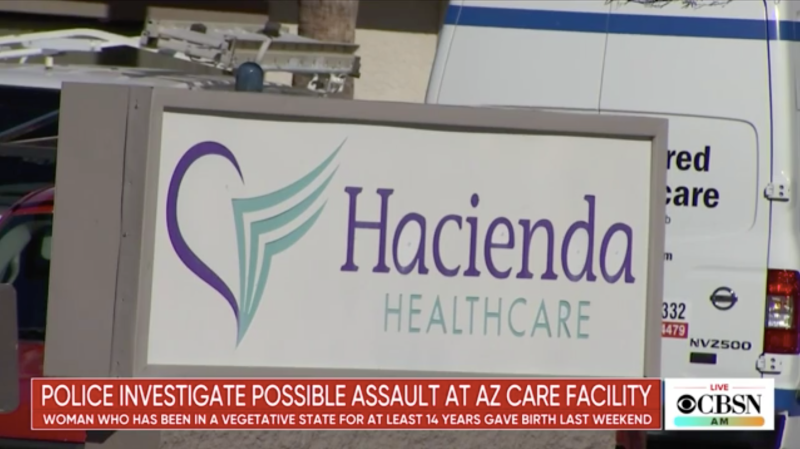 The Washington Post reports that Hacienda HealthCare in Phoenix, Arizona confirmed they were served a search warrant in a statement on Tuesday, and that they “welcome this development in the ongoing police investigation.” Police are attempting to uncover how the unnamed woman, who was in a persistent vegetative state after a near-drowning incident many years ago, became impregnated. It appears that they are treating the incident as a sexual assault, a felony crime. It is unclear whether police currently have any suspects in mind or have obtained any samples; it is also unclear how no one at the facility even noticed the woman was pregnant before she gave birth shortly after Christmas. At the time, a source familiar with the situation told a local CBS affiliate, “[S]he was moaning. And they didn’t know what was wrong with her,” before delivering a healthy baby boy. The woman is also reportedly a member of the San Carlos Apache Tribe, whose tribe Chairman provided a statement to 12 News saying he was “deeply shocked and horrified” by her treatment at the facility.